Last year's Hungarian Grand Prix turned out to be something of a controversial affair, but what does this years race have in store? Join Christine as she takes a look at the never changing circuit layout, the qualifying events that irrecoverably altered last year's season for McLaren, and a quick recap of where the teams and drivers stand in this years championship. 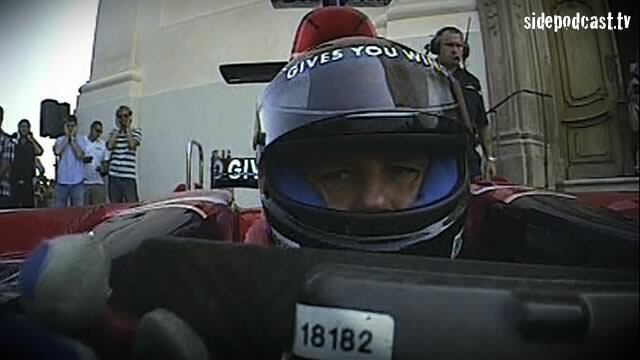 Also we follow Gerhard Berger as he drives his own Scuderia Toro Rosso F1 car around one side of Lake Balaton, across the water via transport ferry and then back down the other side, entertaining fans at every turn. It might well be the first time a Formula One car has crossed the largest lake in Europe, but with a new racing circuit scheduled to open nearby in 2010, it may not be the last. Special thanks to Allianz SE, Red Bull Racing and RTV GmbH for the use of their video footage.